I think it would be honest to say that dogs are an investment. An investment of the heart, the check book, and precious time. The minimal investment for a responsible pet owner would look something like this. The investment for someone going into a specialty like search and rescue, dog sports, service work, therapy, or beyond, would be responsible pet owner X 10! As owner/handlers, we are for the most part, putting our time, energy, money, and efforts into our dogs with the hopes that we get the pay off we are looking for. What are we looking for? I believe that depends on the person. Some people will tell you they just want to give an animal a nice home, but that persons pay off is the feeling of giving. Nothing wrong with that. Families investing in a nice pet for their children to grow up with. An investment without controversy is usually the goal. To a rancher, the dog is part of their livelihood. A solid, balanced, well-trained border collie is no small chunk of change. One border collie is equal to fifteen ranch hands when out working, this is a powerful and wise investment. Stock guardian dogs don’t seem very lively or interactive for the most part, but they only have to chase away one predator for the owner to know their investment was worth it. Ask a sportsmen how important a dog is during hunting season? The investment in training, gear, travel, and time are enormous. If someone is willing to sit in a duck blind for hours upon hours with their dog, the investment has surely been worth it. Search and rescue teams work tirelessly with search problems, scenarios, scent work, article discrimination, and socialization to new and different. The investment is getting to work and hopefully being successful. So here are some thoughts, I would love to hear yours. If you don’t want to invest in a dog for twelve years, than don’t invest for twelve minutes. Choose carefully, your dog investment should be long term. Never predict what your investment should look like or act like. Take the crystal ball out of ownership, invest wisely, put in your sweat equity, and always move forward together, honestly. The patient owner who has a plan will almost always turn out with the best investment. And most importantly, don’t invest in a dog just because everyone else is, invest in a dog because it’s what you have been wanting to do. Nancy, I haven’t been perfect in this department. Actually that’s how I got into dog training! At one point when my kids were little, nearly 20 years ago, I wanted to do agility and I had an ancient german shepherd so I wanted to get a young sporting dog to get serious about training! Little did I know! She seemed great with her own baby and she had a dog friend, but when I brought her to my house she tried numerous times to kill my dog and we had some VERY scary close calls where neighbor kids walked in and the young german shepherd reacted. Dumb me! The dog was so impressive in agility class, but fear aggressive at home! I ultimately rehomed her. Since then I’ve erred on the side of choosing a dog for her cuddling skills rather than her agility skills, and then I get jealous of border collie people, and wish my dogs were more border collie-ish. But slowly over the years they ARE becoming more border collie-ish! I still fantasize about getting a “performance” pup, but maybe my dogs ARE performance pups, in their own unique ways! I’m changing my expectations for myself at the same time I am changing my expectations for them, reducing the pressure I put on myself and them, and suddenly they are really acting rather like border collies! Finding that balance between dog trainer nut cases and people who leave their dog tied to dog house, finding where the middle really is, with the dogs I have NOW, that’s my journey. I picked ridiculous choices! A formerly feral, the shyest of a litter, and an almost foster dog who’s first choice when she entered our house was to run upstairs and piss a gallon on our bed! Oh well! Here we are! Hoping to make the best of it! I LOVED this article! I wrote something similar not too long ago, about the right “job” for your dog. I have German Shepherds, and I find people all the time having to rehome their shepherds because they are “too much dog”, I hear the same from friends and trainers with Border Collies. 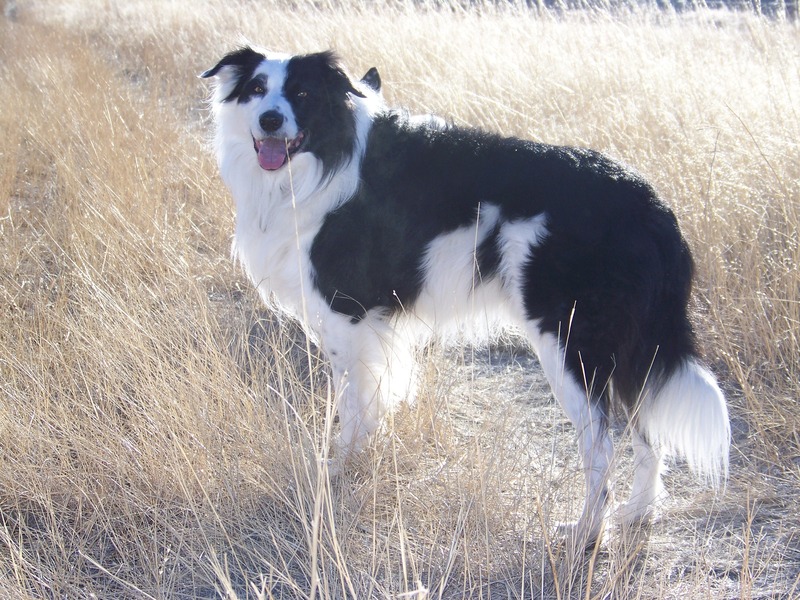 People want to go for the “smart” and “easy to train” breeds, but they don’t do enough research into the “herding” part of those “easy to train” breeds, and they run into problems. The way you put it was fabulous! I also think it’s smart to think ahead some, and really contemplate the unexpected investments you may have in the future. When my German Shepherd puppy was diagnosed with megaesophagus at 8 1/2 weeks old, I suddenly had a whole bunch of investments I wasn’t expecting, like five upright feeding times a day and a slew of medical bills, we didn’t give up on her until the end, which unfortunately came too quickly. But eventually, many dog owners will face these challenges as their dogs get up there in age, something a lot of people maybe don’t think about when they are picking up that 8 week old puppy. Anyway, I am really enjoying your blog! And good luck on the sheep! My GSD Shelby begins her herding training in two weeks, and I am so pumped! Well thank you. Best of luck to Shelby on sheep. Take pictures and post! I wish everyone could realize that dogs should be an investment as well as family. I’m amazed at how many people balk at the cost to adopt from a reputable rescue (after all the dog is a “rescue”). I chuckled at your comment about ribbons not being free. I know all dog sport competitors have been asked at least once – “So what do you win? Money?” Uh, no, we get a ribbon (…but most of all the chance to play with our dogs and dog friends!). The only thing I would add is that truly, they are not just an investment financially, but of the heart/emotion and of time. When you are freely willing to give all 3 you are ready to adopt.